I am from new delhi(india).I have 5 years experience of web development with different lanuages and platforms like ASP/.NET and SQl-Server.If you want to remove google translate frame while translating your site Please contact me at rohit.barla@gmail.com for demo please check http://intra-smart.com/lang.asp . 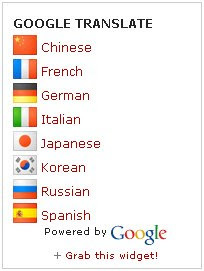 It's a pretty intersting and useful steps provide here to Add Google translate mini flags to blogger. Nice post..